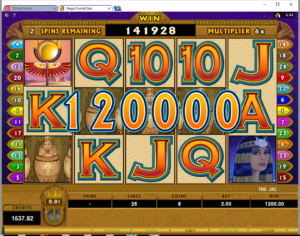 Mega Moolah Isis Big Win – $1200 from $2 bet! 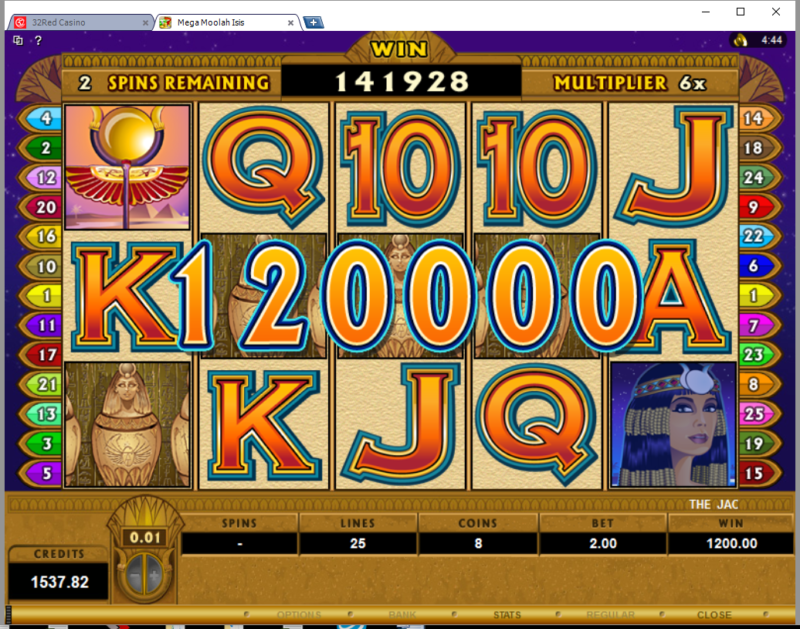 Here is one of my recent hits (actually from 7th March 2017) on the great Mega Moolah Isis slot. I was playing for $2 at my favourite Microgaming Casino – 32 Red Casino. A lovely 600x my triggering bet amount of $1200 won and a total win during the free spins over $1400 – so more than 700x my triggering bet. This game is highly volatile but it is possible to hit really big on this and once I had 5 scatters which instantly pays 600x bet + 30 free spins! Play this at all great casinos with mega moolah jackpot games! 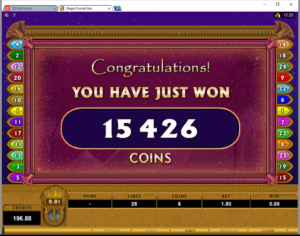 There are also microgaming casinos where you can play with BitCoins!